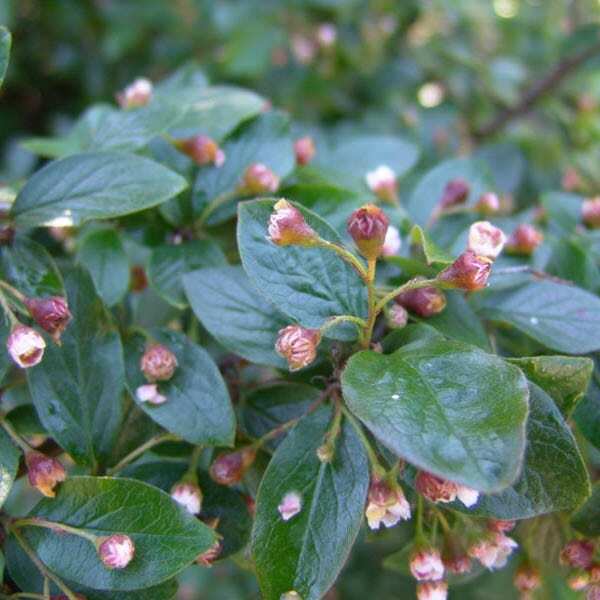 Cotoneaster acutifolia, or Peking cotoneaster is a very attractive small to medium low growing shrub. Its mature height is 5 to 7 feet and is slightly taller than broad. Its slender canes grow up and out with a spread of 4 to 6 feet. Cotoneaster grows slowly at first, but after a couple years develops at about 12 to 18 inches per year. It is an upright, strong growing shrub with dark, glossy green foliage, orange to reddish color in the fall with black fruit in early Oct and persists late into the winter, providing a good winter food source for birds. It is a fine hardy Hedge and a good windbreak.